At a Starbucks in West Austin, Josh LaFair set up a board game he and his siblings invented. "There's a lot of scheming," he said. "There's a lot of strategizing and there's a lot of backstabbing." It’s called Mapmaker. And there’s nothing homemade about it. "Each player as a political party," he explained, "and players go around separating voters into districts, and whoever has the most districts at the end of the game wins." It resembled any other high-end board game. But this one had little tokens for the major political parties. There was a red elephant, a blue donkey, a green leaf and a yellow porcupine – that’s the symbol for the Libertarians. LaFair and his siblings had a vision. 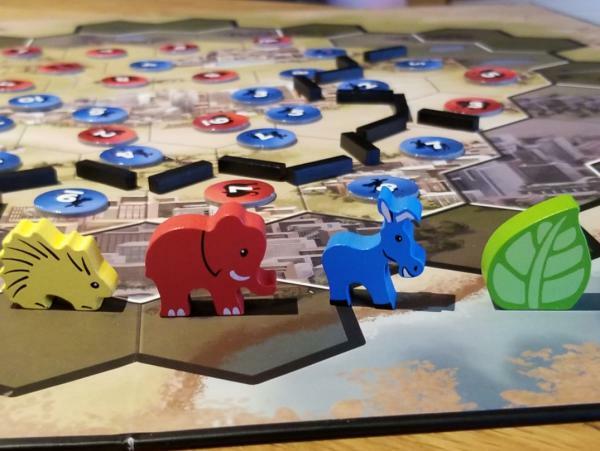 "So my brother, sister and I grew up in a gerrymandered district in Austin, Texas -- District 10 -- and we'd wanted to invent the board game because we wanted to start conversations around the country about an issue that isn't discussed enough." Mapmaker is about the process of drawing political maps. And when that’s done unfairly to favor one political party, it’s called gerrymandering. The LaFairs perceived unfairness in the political maps in Travis County and throughout Texas. They created the game and set up an online account on Kickstarter to help finance its production. They raised more than $60,000, manufactured the game and then sent 80 copies to the U.S. Supreme Court. The nation’s high court historically has been reluctant to wade into the political thicket and decide which maps are fair except when there is overwhelming evidence of racial discrimination. The justices would rather see a political solution to this political problem. LaFair hoped his game educates the public about what is going on and how to fix it. "Nobody's really talking about gerrymandering," he said. "They're not talking about how our politicians are actually influencing these elections by how they're drawing these lines. Which is why we wanted to create this game." The 2018 midterm elections unleashed a blue wave across Texas, fueled by discontent with Republican President Donald Trump and energized by a strong turnout for Beto O’Rourke, a Democrat who ran for a U.S. Senate seat. But how big of a wave was it depends on one's perspective. There were many races that were tougher than normal for Republican incumbents in a midterm cycle. But, like O’Rourke, most Democratic candidates fell short of victory. However, two Texas congressional races did flip red to blue, and that helped Democrats take control of the U.S. House of Representatives. In the Texas House, Democrats picked up a dozen seats, bringing the party to 67 seats out of 150 – still in the minority but at a level it hasn’t seen in a decade. But the question is how well do these outcomes actually reflect what voters want for their representation. Are the maps out of whack? Looking at the voting share for Texans overall -- all votes cast in the election for congressional candidates -- Republicans received 53% of the votes and Democrats got 47%. If the 36 Texas congressional seats were divided with that proportion, then there would be 19 Republican members of Congress and 17 Democrats. Instead, Texans sent to Washington 23 Republicans and 13 Democrats. One could argue that the way district lines are drawn in Texas is gifting Republicans four additional seats in Congress. Texas districts are not gerrymandered. In 2018, for the 20th year in a row Republicans swept every stateside election in Texas. O’Rourke lost to incumbent Sen. Ted Cruz – but the margin was just three points. And several statewide races that Republicans typically enjoy runaway victories were elected by mere single digits. 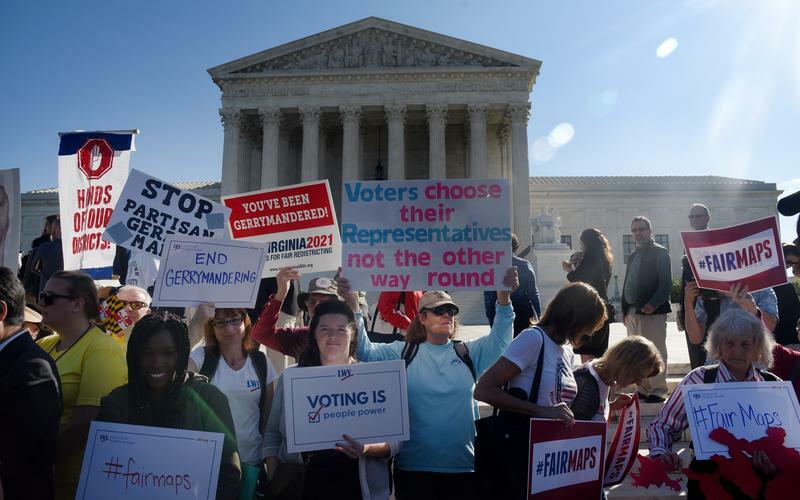 It does look like Texas is shifting, and with redistricting coming up in Texas after the 2020 election some are hoping for meaningful reform in the legislature to the political mapmaking process. Last week, the House redistricting committee met to discuss bills that propose reforms. That would take the method out of the hands of politicians. “It’s really a great time for people to be statesmen,” he said. Donna Howard is a Democrat in Texas House of Representatives, representing the 48th District, which is in Austin. She is advocating for redistricting reform and has filed House Joint Resolution 25 and House Bill 312, which would change the mapmaking process in Texas and may end the practice of gerrymandering in the state. However, the Legislature left pending her bills and other similar legislation that sought to reform redistricting. They were heard in committee but no vote was taken. They were left in legislative limbo. That's why Josh LaFair, the inventor of the Mapmaker board game, said it’s going to take the people in Texas to rise up and demand redistricting reform. David Martin Davies can be reached at DMDavies@TPR.org and on Twitter at @DavidMartinDavi. Before 45 days pass in the next legislative session, Texas lawmakers must begin fixing discriminatory issues with the way in which North Texas' House District 90 was drawn.